Congratulations Mean Lux on Your Promotion! One of his new projects will be a IT & Youth program for Youth Council of Cambodia and he is seeking advice about laptops for the rural provinces. He subscribers to this blog, so if you have any suggestions or recommendations please leave them in the comments. It looks like both of us lots to celebrate! thank you Beth. This is a surprise u post it here. my post is program officer. PS I have not been able to get a decent lime drink since I visited Cambodia. I really want some lime juice ... need to figure out a way to get back to Cambodia soon. now we plan that every three months, we want host a social web training to 20 to 30 bloggers selected from blog workshop we r doing. 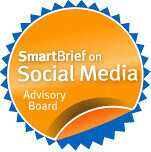 the training focus on the whole issues and tools of web2.0 and how we could use it for social good. it will be a couple days long program. r u interested? I sure know. but how could you come again? actually this training is quite small. we hope they become a better bloggers and become blog trainers after the training. Well, I did enter a contest to support a train the trainers curriculum/workshop in Cambodia. If I win, it would cover the travel cost and some time to work on this -- as well as some curriculum for in-school projects. In the meantime, you don't have to start from scratch - you have all the great materials from the bloggers conference, etc. If that contest opportunity doesn't come through, I am looking into whether or not I can bring the kids during the summer - and stay for the month. Would be interesting. 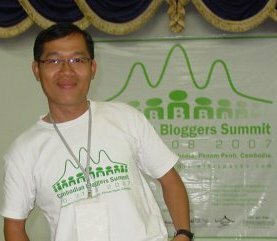 It sounds nice to hear what you're doing to promote the bloggers knowledge, especially good to hear about the achievement in Cambodia. I wish to learn about that too, but it's like i have no chance to get involve with other bloggers at all. And also i think to thank you beth for providing a good posts on your blog where i read it in my mailbox everyday.